For a take on the time travel genre, we go to 2014’s Time Lapse. The story introduces us to three 20-something friends: Callie (Danielle Panabaker), Finn (Matt O’Leary) and Jasper (George Finn). All struggle to make their way in the world and dream of a better existence. Such a prospect develops when a resident of their apartment complex disappears. Finn works as a caretaker so they check out his apartment. Bizarrely, they discover a slew of photos of their own residence along with a large, mysterious machine. As they soon discover, this device takes photos of events that will occur 24 hours in the future. We follow the ways that they use this gadget for good and for ill as well as how these developments impact them. With a premise like that, Time Lapse comes packed with potential. It could follow any number of possibilities and could become a lively, creative endeavor. Instead, Lapse focuses on its theme as a cautionary tale without much to make it engaging. With a story like this, I expect at least some sense of excitement and wonder. Shouldn’t we get at least a brief period in which the participants enjoy the magic of the situation? That doesn’t happen, as Lapse chooses to go down a consistently morose path. Almost as soon as the time travel scenario arises, the participants find themselves at each others’ throats, and the lack of development creates a problem. Because we don’t get any sense of thrill or excitement, we don’t invest in the characters or find them anything other than dark and mercenary. Maybe I should respect Lapse for its refusal to follow a standard “highs and lows” narrative, and perhaps I would if it didn’t seem so darned dull. The film seems strangely devoid of drama and tension, so it becomes a boring exploration of its themes. The events involved never seem especially compelling, so this turns into a plodding journey. The creative nature of its basic premise gives Time Lapse enough juice to keep us with it until the end, but I think it becomes a slow, less than compelling trek. Despite some positive elements, this ends up as a lackluster tale that squanders much of its potential. Time Lapse appears in an aspect ratio of approximately 1.78:1 on this Blu-ray Disc. Overall, this became a satisfying presentation. Sharpness came across well. Any softness tended to be minor and infrequent, so the end product delivered solid delineation. I saw no signs of jaggies or shimmering, and edge haloes remained absent. No print flaws could be found either. Colors tended toward a teal/greenish tint. This could appear artificial but the tones worked fine within the movie’s design choices. Blacks were fine, as they seemed reasonably dense, and shadows showed reasonable clarity. In the end, the image looked positive. I also felt pleased with the movie’s DTS-HD MA 5.1 soundtrack, though I couldn’t call it great. While the soundscape offered reasonable breadth, the elements didn’t combine in an especially immersive manner. Different components cropped up around the room in logical spots but movement and integration weren’t as strong as I’d like. Still, these pieces gave the soundfield reasonable involvement and kick. As we shift to extras, we find two separate audio commentaries. For the first, we hear from writer/director Bradley King and writer BP Cooper. Both sit together for this running, screen-specific look at story/character domains, cast and performances, music and editing, sets and locations, budget challenges, effects and related topics. While this becomes a reasonably informative chat, it never rises above that level. King and Cooper cover the appropriate topics and make this a fairly engaging chat, but it just doesn’t become especially memorable. This ends up as a good but not great piece. For the second track, we again hear from King and Cooper, this time in what they call the “Filmmaking 101” Commentary. In this one, they discuss more topics related to the creation of Time Lapse, though with a bit more of a technical orientation than presented in the first commentary. That becomes an odd choice, as King and Cooper present the “Filmmaking 101” commentary as a primer on indie movie making. I expected something of a “how-to” guide to let rookies know how they can shoot their work on the cheap. Instead, “Filmmaking 101” really just becomes an expansion of the first commentary. Not that this is a bad thing, as King and Cooper continue to offer a fairly interesting and informative look at Time Lapse. It’s worth a listen for fans of the flick, but it won’t act as a tutorial for wannabe movie creators. Two Deleted Scenes appear: “Callie in the Kitchen” (1:38) and “Mr. B Flashback” (2:22). “Kitchen” offers some basic character interactions; it offers nothing in terms of story but at least shows some positive relationships among the leads, a factor lacking in the final cut. “Flashback” gives us a bit of exposition but seems useful mainly because it allows John Rhys-Davies to actually appear on screen; in the finished film, we don’t see him in anything other than photos. We can view the scenes with or without commentary from King and Cooper. They tell us a little about the sequences and let us know why the clips didn’t show up in the film. Their notes add some good details. A Behind the Scenes Featurette goes for 22 minutes, 52 seconds and offers notes from Cooper, King, art assistant Alyson Lippert, art director Zander Fieschko, lead fabricator David Mendoze, fabricator Thibault Pelletier, line producer Sarah Craig and director’s assistant Kim Carney. The show covers the project’s origins and development, pre-production, locations, props and set details, cast and performances, music, and screening the film. For the most part, this piece offers something of a video diary. It concentrates on footage from the set; the comments add to the experience but this is mostly a direct look at the shoot. It turns into an enjoyable view of the subject matter. The disc opens with an ad for The Machine. We also find a trailer for Time Lapse. 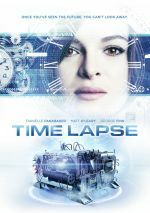 With a story that offers a clever twist on the standard time travel narrative, I went into Time Lapse with high hopes. Unfortunately, it seems so relentlessly morose and somber that it becomes a drag without much to involve the viewer. 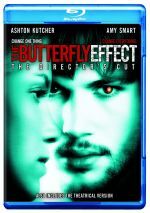 The Blu-ray provides good picture and audio along with some informative bonus materials. Sci-fi fans may find something worthwhile in Time Lapse, but it largely leaves me cold.